Sunday, February 9 through Tuesday, February 11, 2014-San Luis Obispo, California: Woke early at our new home on Camp San Luis Obispo (CSLO) and noticed these rather disturbing posters while out walking about. Soon the base commander, a full bird Colonel along with his deputy who was an Army Major, came cruising in their staff car through the campground. 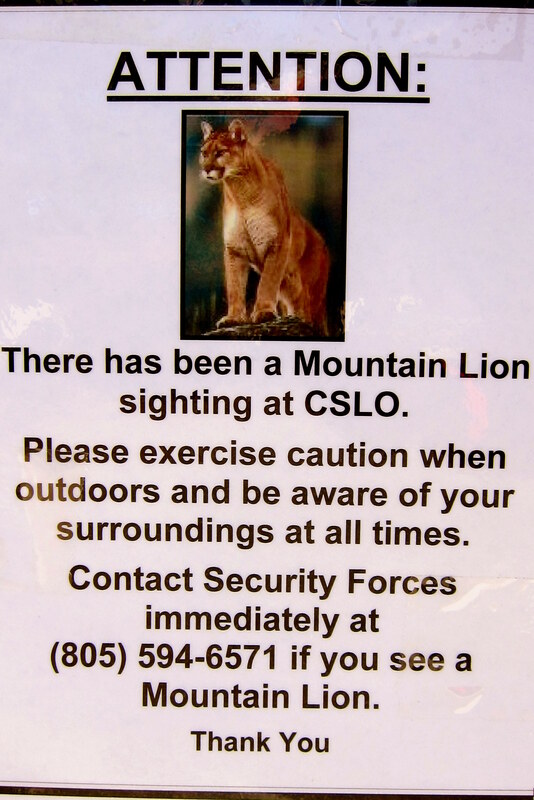 They wanted to make sure everyone was aware of the lion sightings and to reassure all that there was little concern…..unless you owned a small dog and did not follow the leash rules. Since we had been on the go so much over the past week we decided to take the first full day at CSLO as a down day…..reading, walking about the premises, meeting the neighbors, doing laundry, etc. 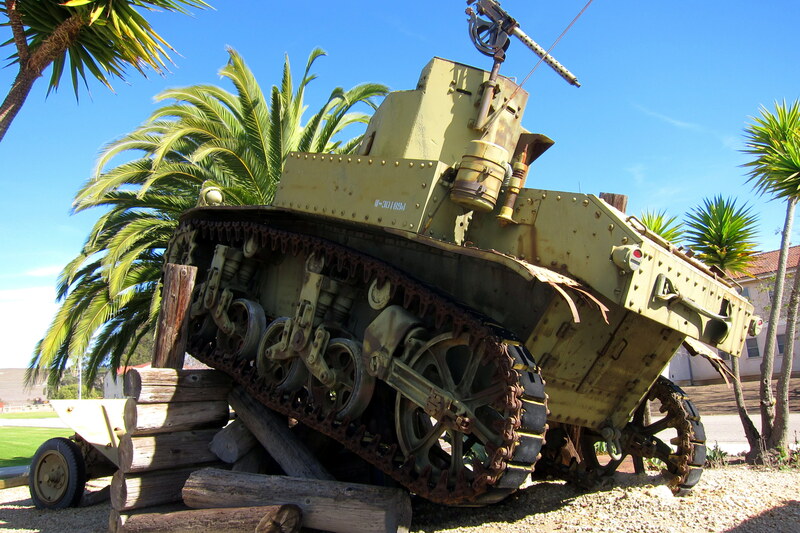 On one of my walks about this base I noticed a static display of a WWII tank that was positioned to replicate a famous battle in the Philippines that the CSLO unit was involved in. It’s nice to see a military display of historic equipment in settings other than the traditional cement platform with white painted chain barriers and a bronze plaque. Since the prime reason for stopping in the area was to explore the town of San Luis Obispo (SLO), by the second day we were off exploring once again. SLO, the self-described “Happiest Place in America” is a nice quirky college town of 45,000 folks about 11 miles inland from the coast. 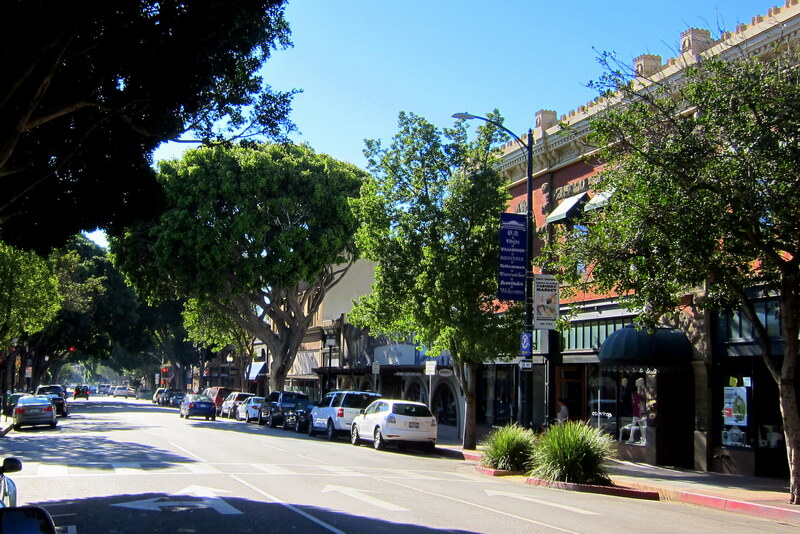 It is a very walkable town with light traffic, tree shaded streets, eclectic shops and numerous restaurants. 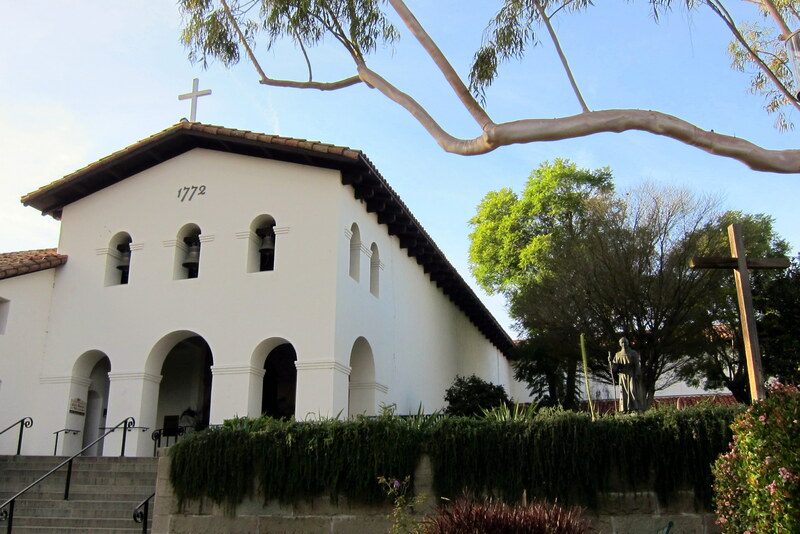 The town grew up around a Spanish Catholic Mission that was built by Father Junípero Serra in 1772 to bring the heathen native peoples to Christianity. 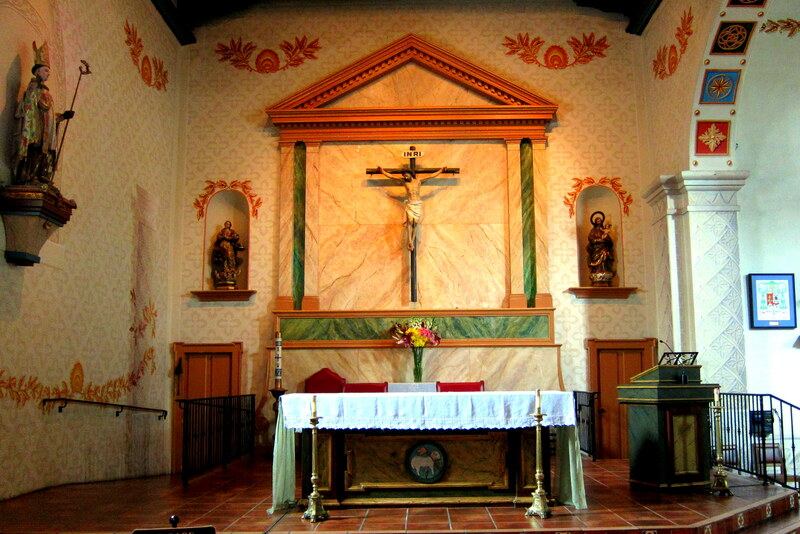 Mission San Luis Obispo de Tolosa, is located in the heart of SLO and is an active church today. Open to the public, there are volunteer docents on hand to give informal tours and explain the mission’s importance in history. The original structure was built of adobe bricks cemented together with mud…..expertly preserved and reinforced this portion of the mission is still in use. 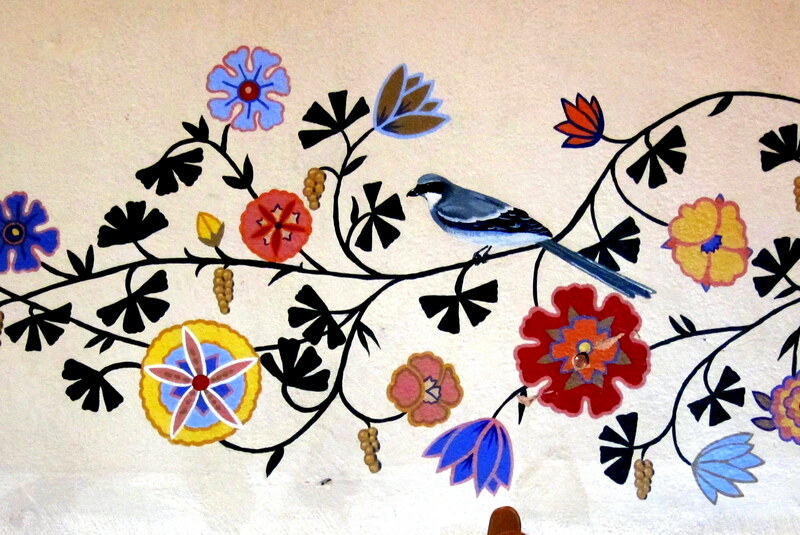 The ornate painted decorations that grace the walls of the mission have been recently restored by a parishioner…..this painstaking art work took the better part of a year to complete and the results are dazzling! John, the docent that adopted us, was a retired Naval Officer and he also adopted a young family that lived nearby, but where originally from Scarborough, Maine. So with common ground, we all had a lot to talk about. After guiding us around the property, John noticed it was nearing time for the 1210 mass. 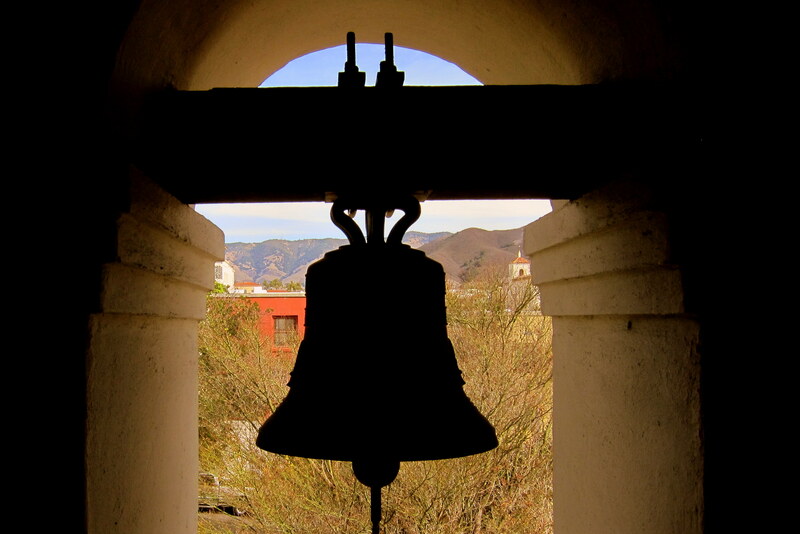 He quietly informed us that we may be able to accompany the church bell ringer into the tower and witness the peeling of the Mission Bells as he rang out The Call to Worship. John did warn us that Chris, the bell ringer, was a bit irascible and may deny entry so to ask politely. Well, we caught Chris on a good day and he led us up a narrow, dark and dank stairway to the belfry…..
…where Chris proceeded to explain the origin and history of the many bells before fitting us all with hearing protection. 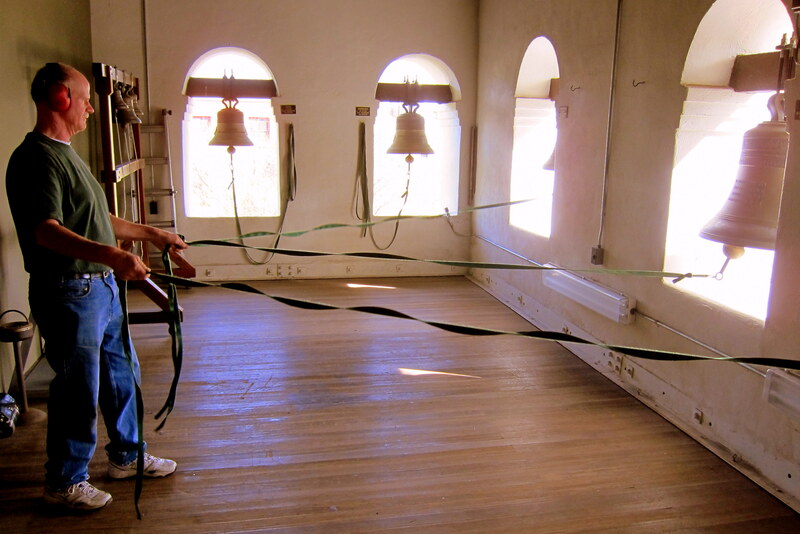 He then gathered the ropes which were attached to the clappers and prepared for the pealing of the bells which had to occur at precisely 1200 hours. I was able to capture a short video of our unique perspective from this historic California Mission. If you would care to view it just click on the following link, and notice the young boy sitting on the floor…..he was a hoot! There have been many out buildings and structures that have been built onto the original mission and now surround a nice peaceful courtyard. We particularly liked all the blooming roses that were scattered about the gardens. 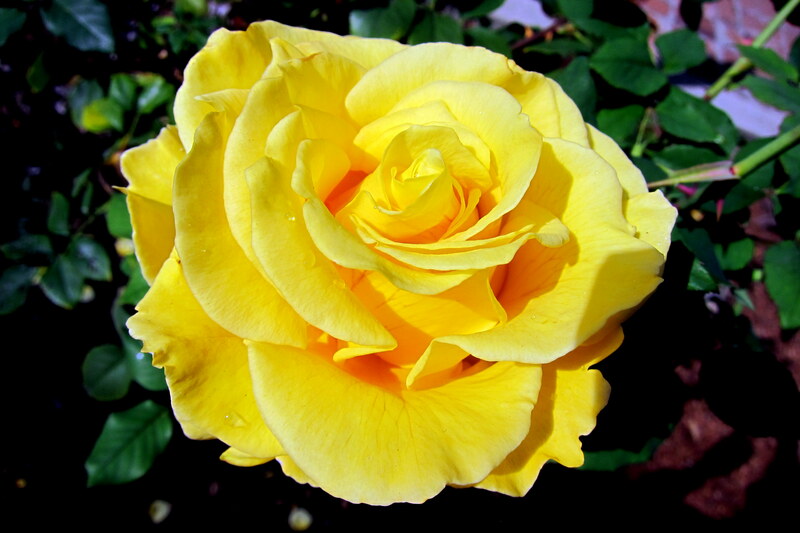 Especially the yellow variety that reminded us of our daughter Kim, as yellow is her favorite color. 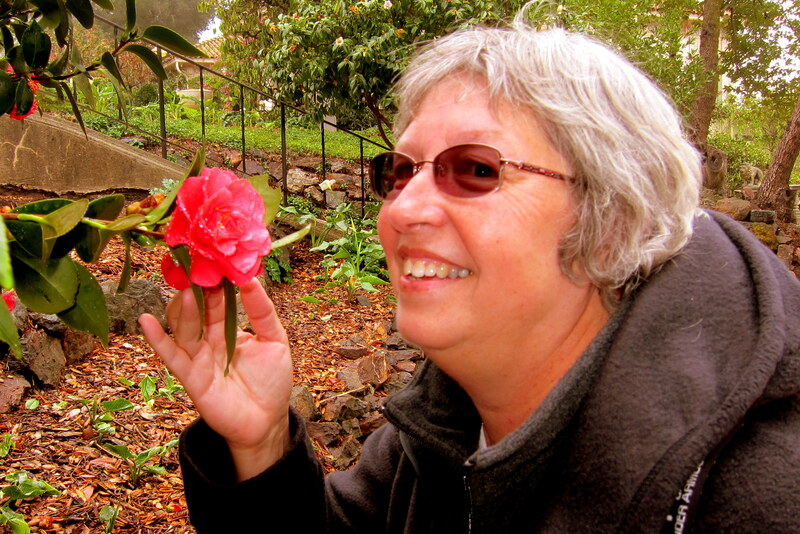 Kit has decided to put “Visit all California Missions” on her bucket list…..there are 20 left to go and she is on a mission (pun intended) to see them all! For the remainder of the day Kit and I went our separate ways…..she to enjoy some peaceful shopping and I to enjoy some peaceful walking about and people watching. 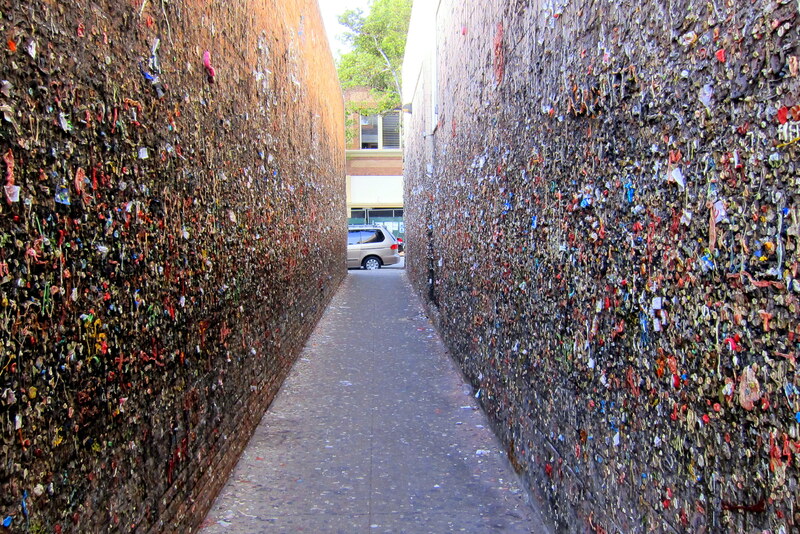 In addition, I was on a mission (no pun intended) to locate a major tourist attraction and historic landmark…..Bubble Gum Alley. Yep, just as you feared, it is a narrow downtown alley covered with millions of wads of bubblegum, some formed into initials, some into names and others into artful shapes. A bit gross, a bit weird, but like a bad auto accident, you can’t help staring in disbelief. 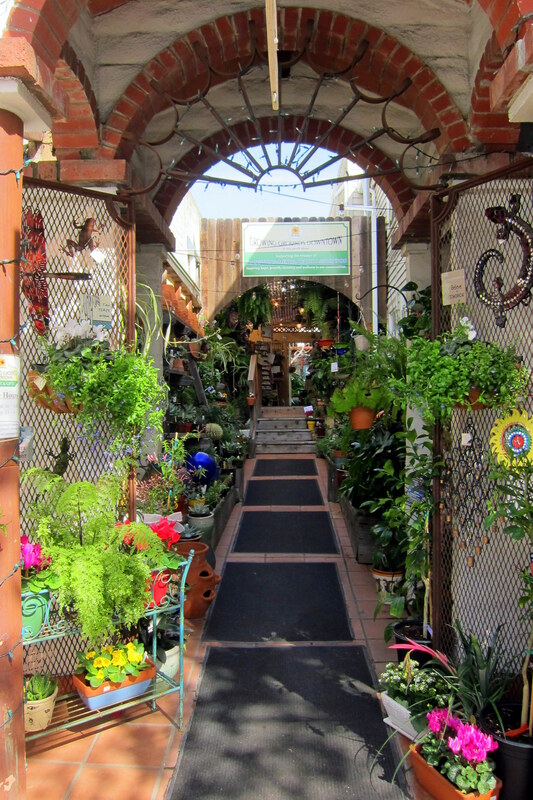 On the other extreme of “narrow ally repurposing” there was this interesting plant nursery that occupied a formerly drab alley between two large buildings. Sales from the nursery benefitted a local nonprofit and was staffed by volunteers. There were many native plants and flowers for sale as well as garden crafts and accessories. Nearing late afternoon Kit and I reconnected via text and decided to meet for an early dinner at a downtown place that had come highly recommended. 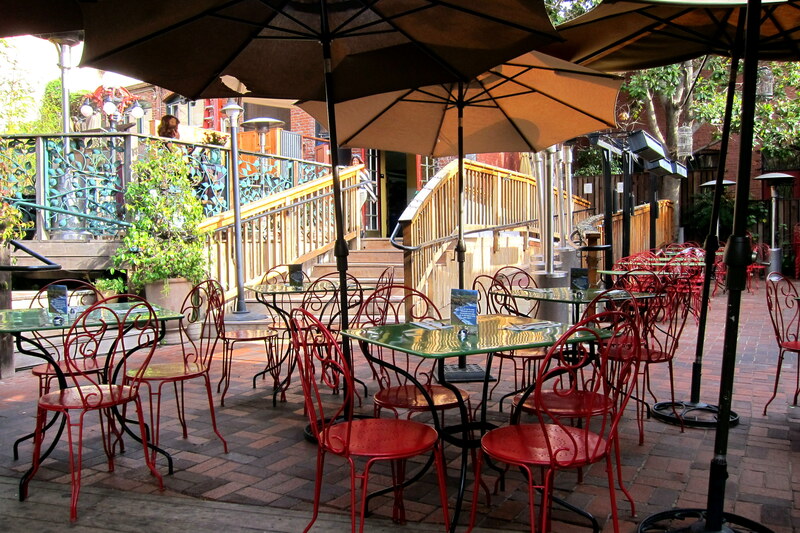 Novo Restaurant, on the banks of SLO Creek features outdoor dining in a picturesque setting. Being midafternoon, we were able to pick a prime creekside table and pretty much had our own dedicated waitress. 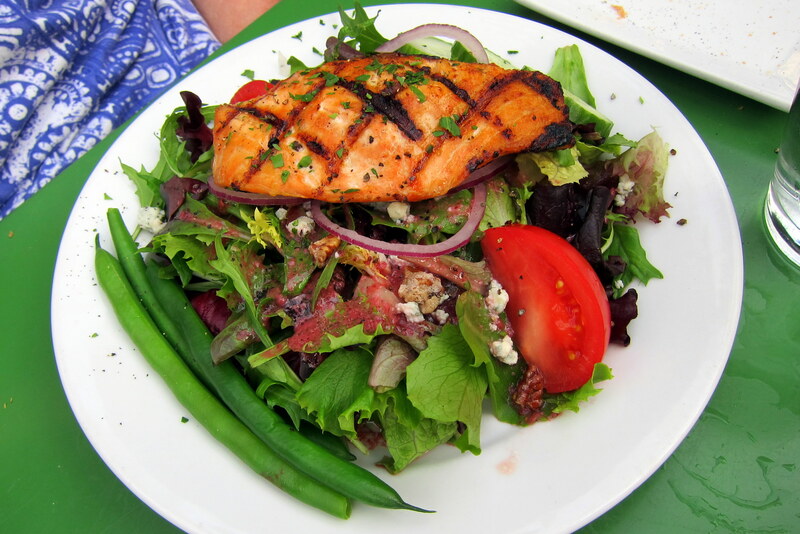 I chose a Flat-iron Steak and Kit enjoyed a grilled Salmon salad. 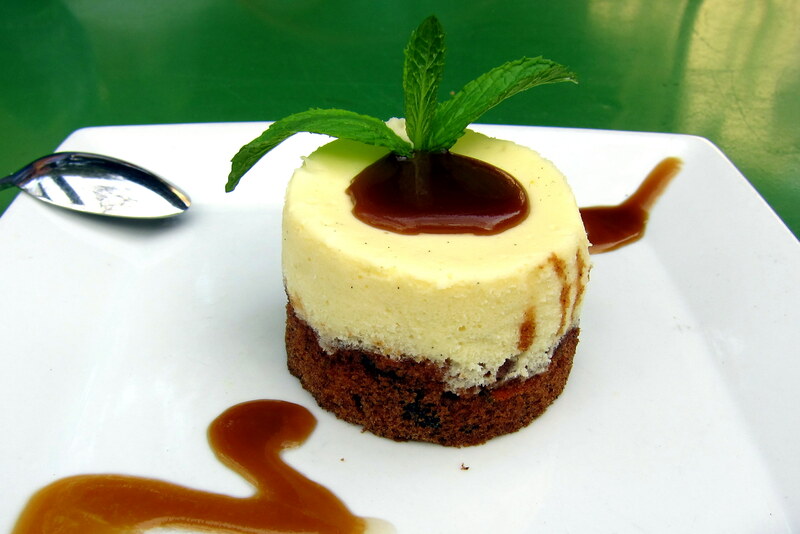 Both were incredible…..we complimented the meal with Novo’s signature desert, Carrot Cheese Cake which was equally as delicious. 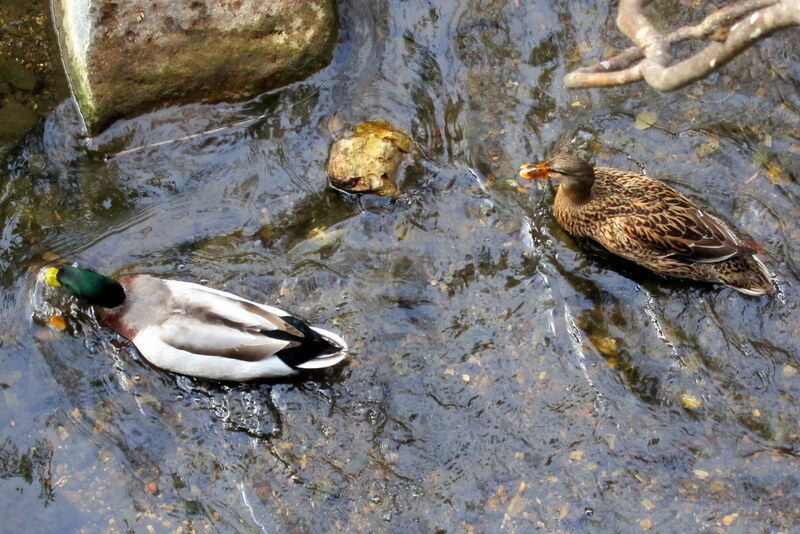 Fully satiated we lingered over coffee and watched the ducks frolic about in the stream below. Spilling out onto the streets and slowly finding our way back to the camper we both decided this had been a great day with beautiful weather in a classic California town! 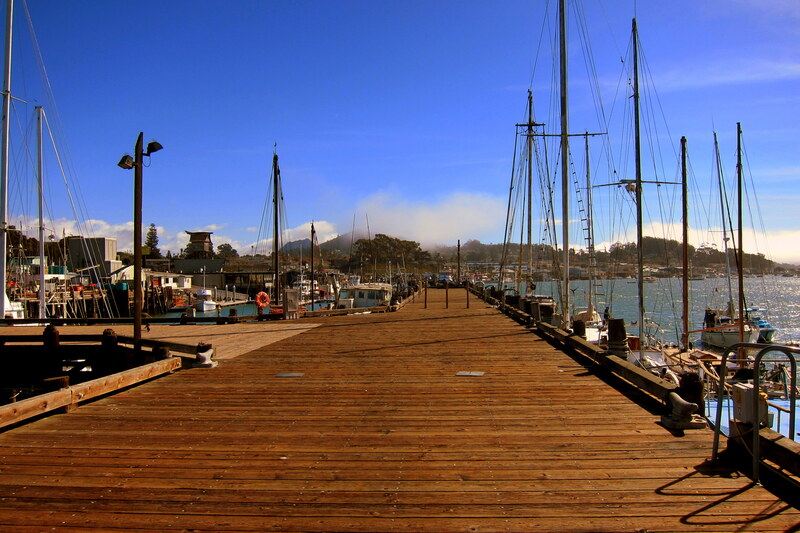 On yet another gorgeous day, Kit and I spent time exploring the village of Morro Bay. She wanted to shop and I wanted to see the famed Morro Rock up close. It looks so much bigger in postcards! Nice rock, but I don’t see what the fuss is all about…..this thing pales in comparison to Plymouth Rock! Oh, wait a minute, this is just a chip off the old rock…..here is the rest of Morro Rock. Pretty impressive for a Volcanic Plug! 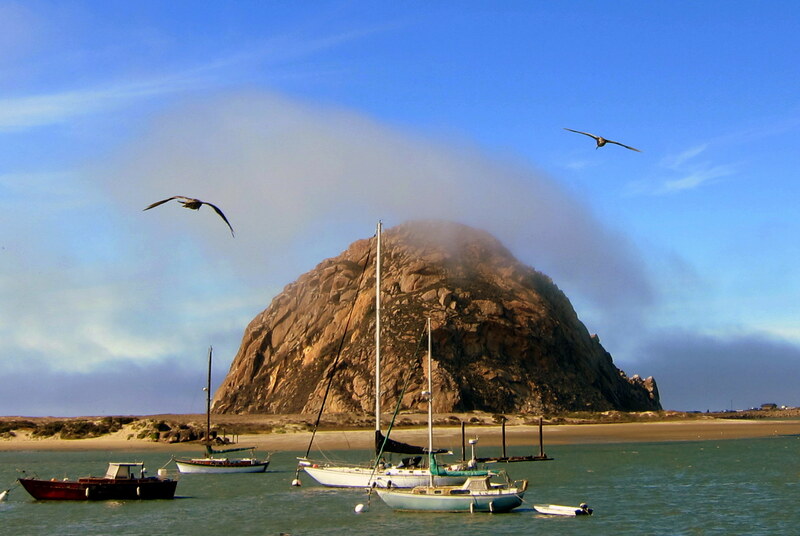 Yep, 581 foot high Morro Rock was formed when magma solidified within a volcano’s vent. Many years of weather have eroded the surrounding material leaving a large granite rock protruding above the terrain. Morro Rock was quarried for a number of years which explains the more rugged appearance on the right side. 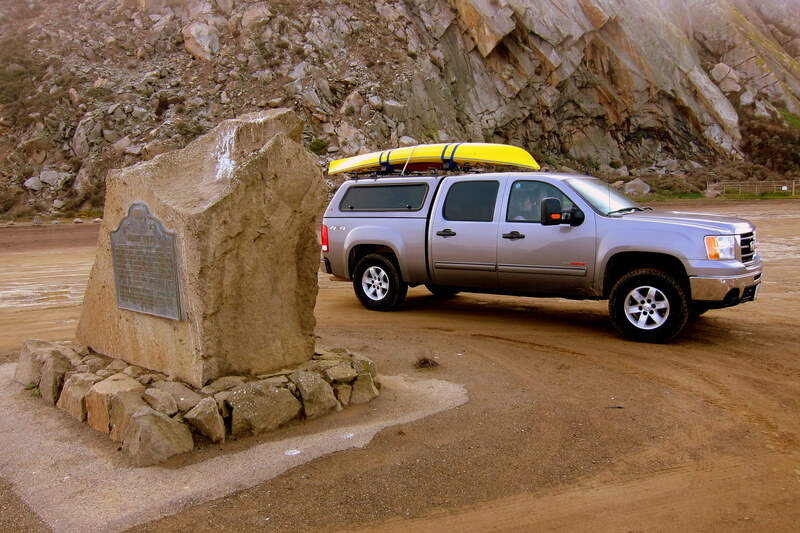 The resulting granite stones were used to construct a breakwater that protects Morro Bay from Pacific storms. While Kit perused the many gift shops on the waterfront, I went about to try and capture some of the character of the place. First resident I bumped into was this guy. 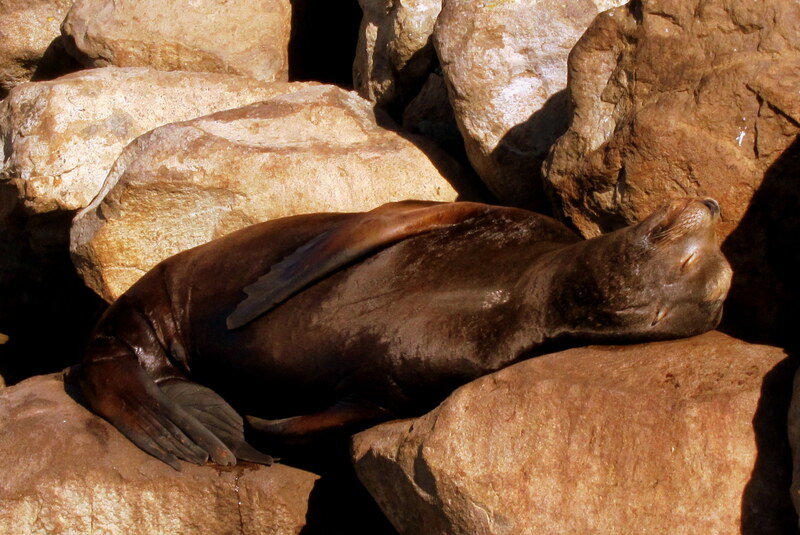 Now, this sea lion has the right idea…..taking a nap in the warm California sunshine. How do I know it’s a guy? Well, for one thing, he’s napping in the warm California sunshine! Next I found my way to the municipal docks and Coast Guard Station. I noticed a lot of folks are full timing it on their boats, similar to how folks live full time in RV’s. Except on a boat you have to be extra vigilant if you are prone to sleepwalking! 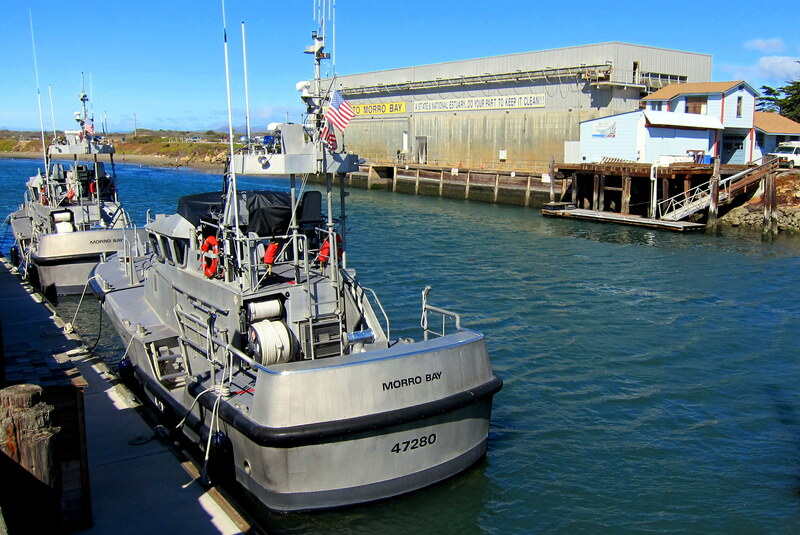 The US Coast Guard keeps two forty-seven foot Motor Life Boats at the ready. What are these rescue craft capable of? 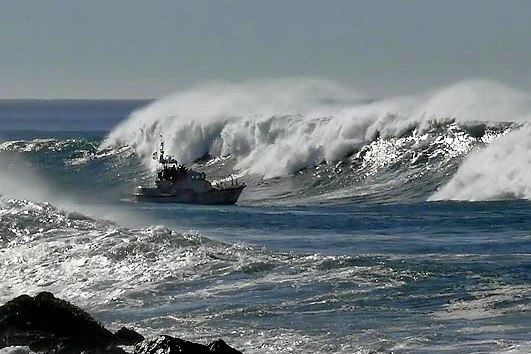 Check out this shot of a MLB heading out of Morro Bay on a heavy weather rescue mission! As I was leaving the pier area, I bumped into this historic piece of US Navy equipment. 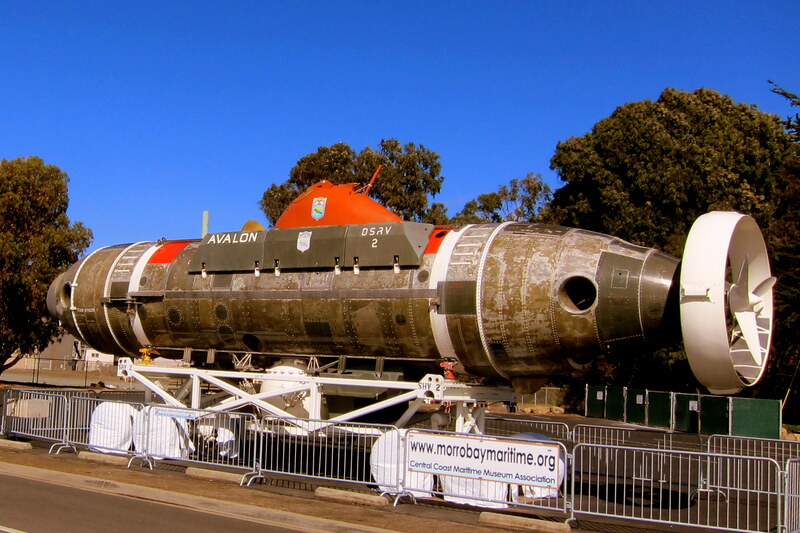 The Avalon, a Deep Submergence Rescue Vehicle (DSRV) is one of only two such craft built for the Navy by Lockheed, my former employer. The DSRV’s prime mission was to rescue crews from bottomed submarines and was prompted by the tragic loss of the USS Thresher in 1965. My Bruzzin Dewey, a former submariner and a friend, Gary a former Navy diver and DSRV crew member have interesting stories about the deployment and operation of the DSRV. Further down the waterfront I came upon a skateboard shop and museum so I wandered in. Turns out Jack, the owner, is a former competitive skateboarder and about my age. We had a blast swapping stories about the early history of skateboarding. In those days, skateboards were primarily homemade out of 2X6 lumber which was crudely shaped like a surfboard. Then salvaged roller rink skate trucks with clay wheels were bolted on. Primitive but effective, these early skateboards kept us occupied on the streets of San Diego whenever the surf was down. Kit has some funny stories about her father’s displeasure when I would show up for a “date” on my skateboard wearing only surf baggies and a brightly painted Pith Helmet. 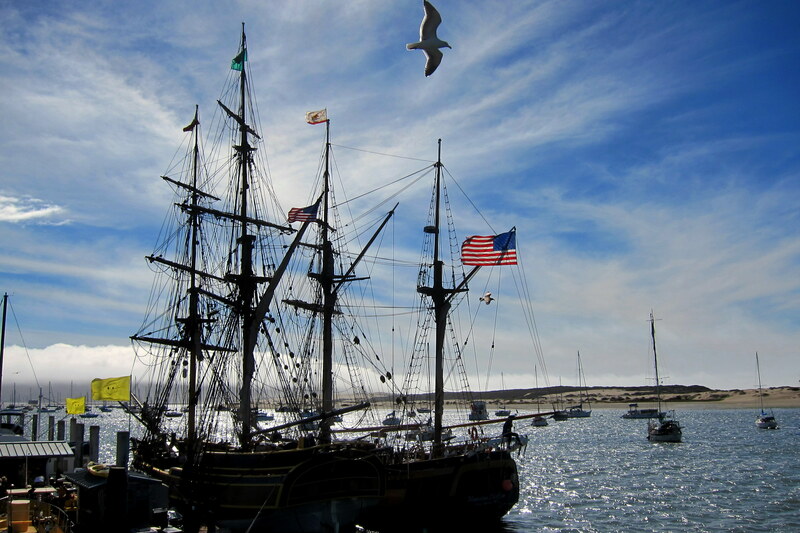 Here in Morro Bay, as in Maine, the windjammer fleet takes paying customers on daily or weeklong trips into the open ocean to relive the days of sail. Not many paying customers on this weekday however, as both tall ships sat idle at their berth. Toward midafternoon, Kit and I met for an early dinner at The Galley, a locally favorite watering hole right on the docks. 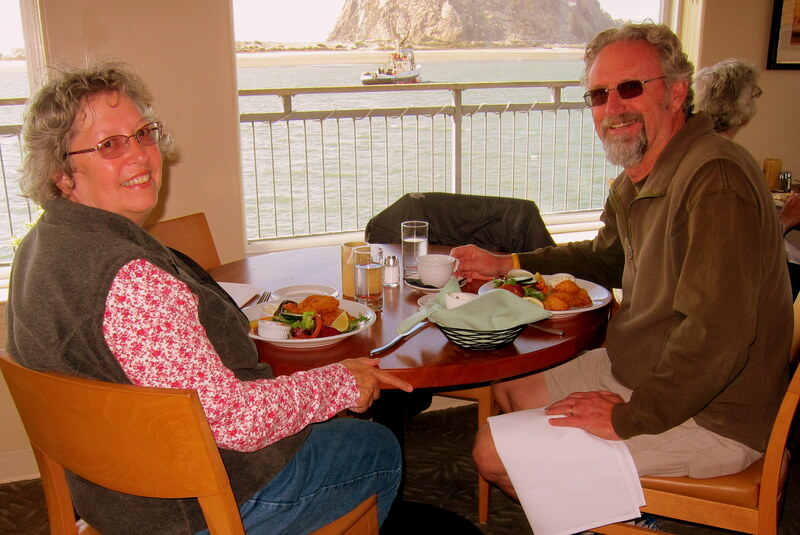 The seafood dinner we both enjoyed was incredible as were the views of Morro Bay and “The Rock”! We like this nice quiet campground and we still have things to explore, so we extended our stay through Thursday…..now plan on pulling out on Friday, Valentines Day. 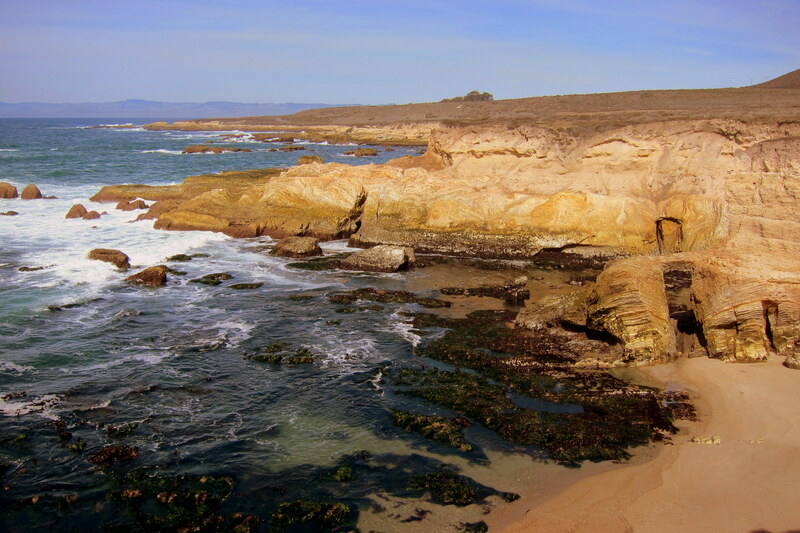 We used one of these bonus days to explore Montaña de Oro State Park which is located on the ocean a few miles south of Morro Bay. 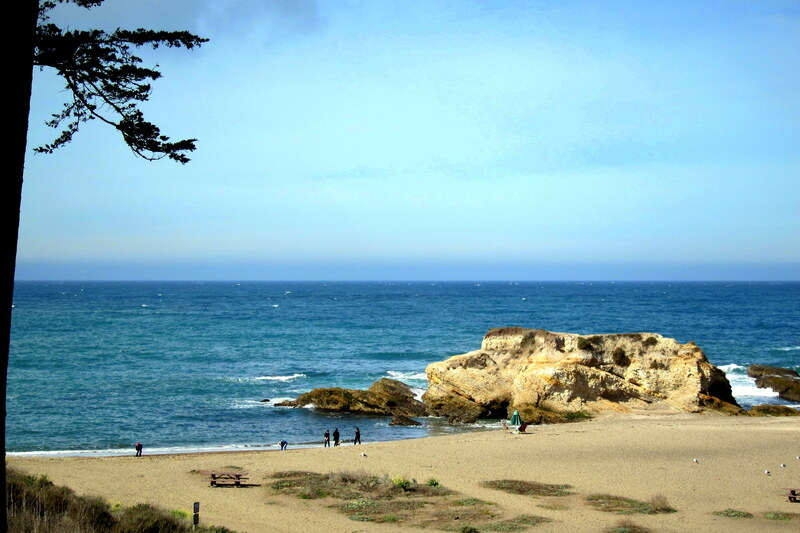 This state park features campgrounds, day use areas and many coastal access opportunities…..even the park road was an attraction as it parallels the Pacific Ocean. 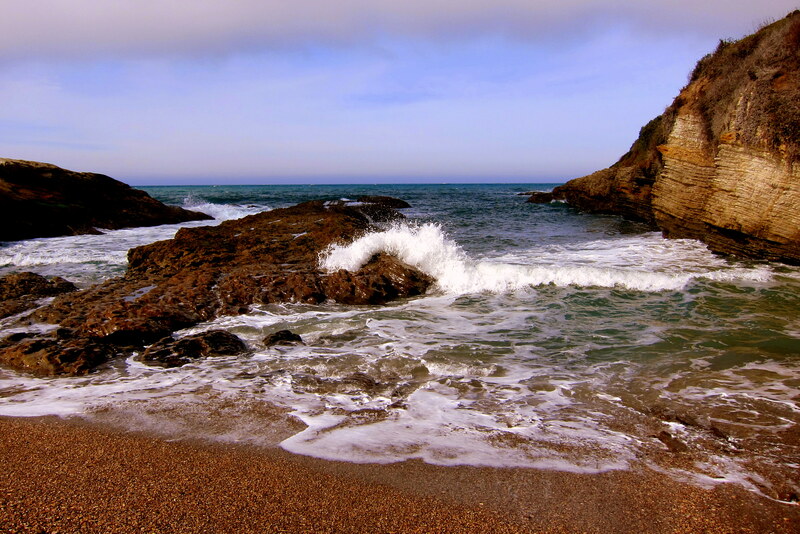 We stopped at a few areas to beachcomb and walk the shoreline amongst the rocks and crashing waves. At the end of the park road, we stopped for a snack. Afterwards, since Kit had brought along her Kindle and was content to sit with a view of the ocean and read, I decided to hike The Coastal Bluff Trail. 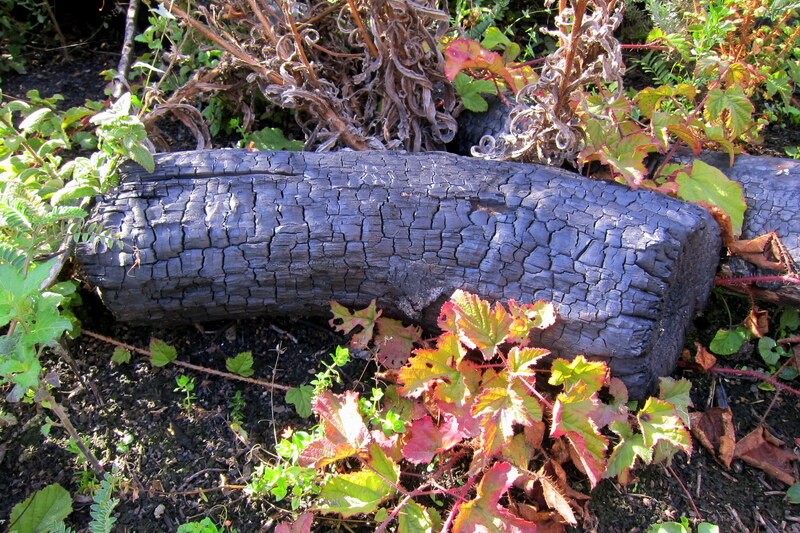 Due to the wildfires last summer, many trees were burned…..however the power of nature to regenerate was evident as fresh green vegetation has taken root. Soon, the Pacific Ocean came into view. And awe inspiring views to the north like the following. And, not to be outdone, here is the view to the south. 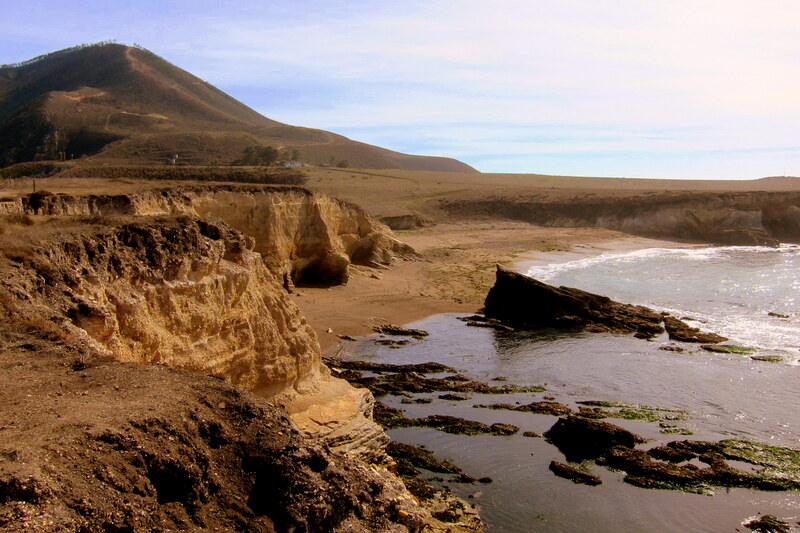 Those inaccessible beaches have likely changed very little over the past few hundred years…..a rarity in California. 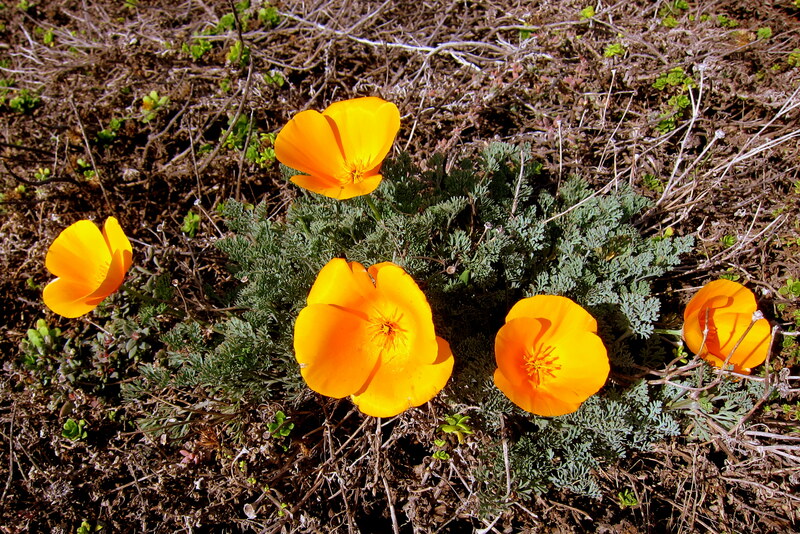 The term “Montaña de Oro” is Spanish for Mountain of Gold, and the state park came to that name due to the many yellow wildflowers that carpet the coastal hills. Following my two hour hike, Kit expressed an interest in returning to Morro Bay to browse the shops she missed earlier. So, after a short drive out of the park, we were back in the village and being a bit hungry we stopped at Rose’s Grill on the waterfront. 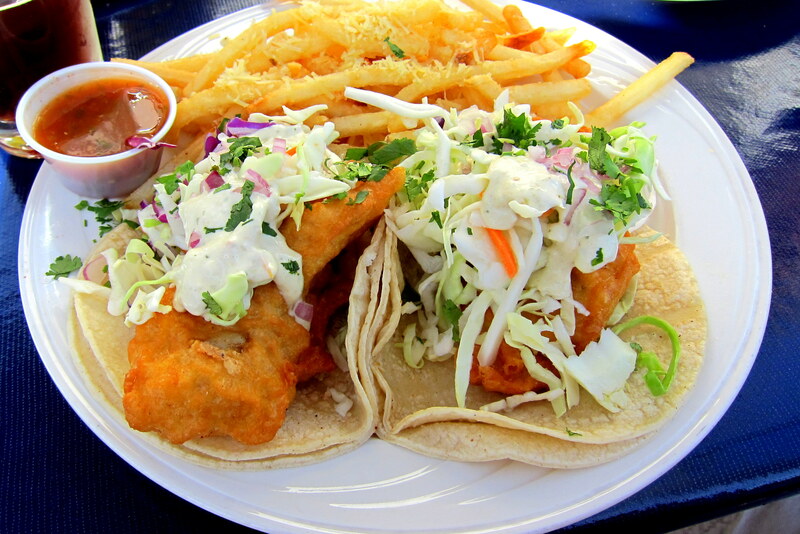 Having an urge for fresh fish tacos with tasty garlic fries, that’s what I ordered! 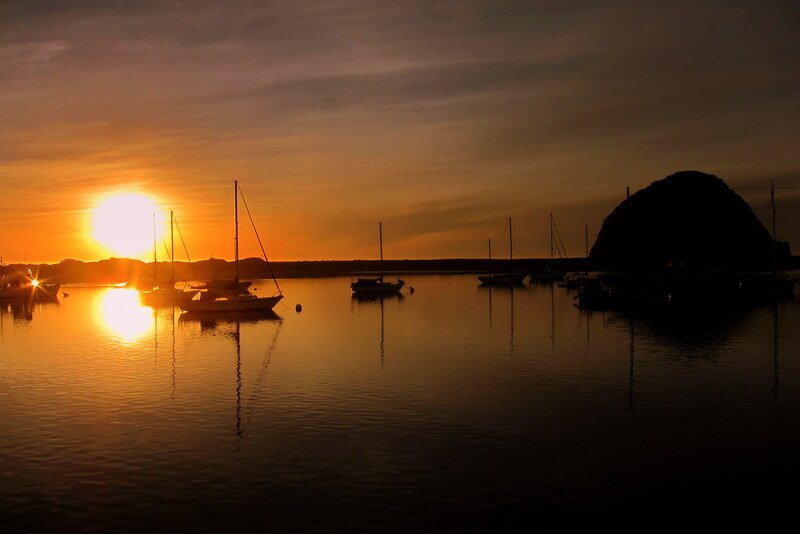 The meal was excellent and as Kit made her way down the street, I decided to sit on the dock of the bay and watch the sun set into the western horizon across Morro Bay…..another great day in Retiree Ville! 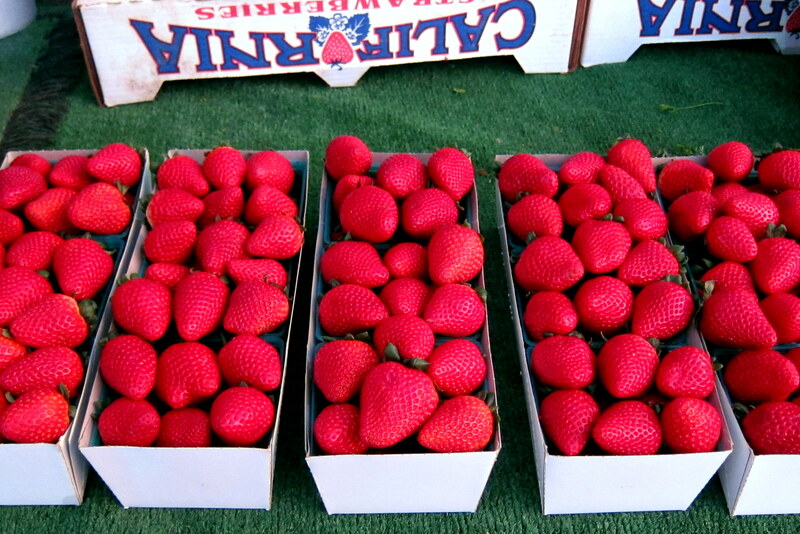 On our second bonus day we returned to downtown SLO in order to attend the weekly Farmers Market and Street Fair. The city closes the main street of town and turns it into a pedestrian mall where local farmers and merchants can set up their carts and tables. 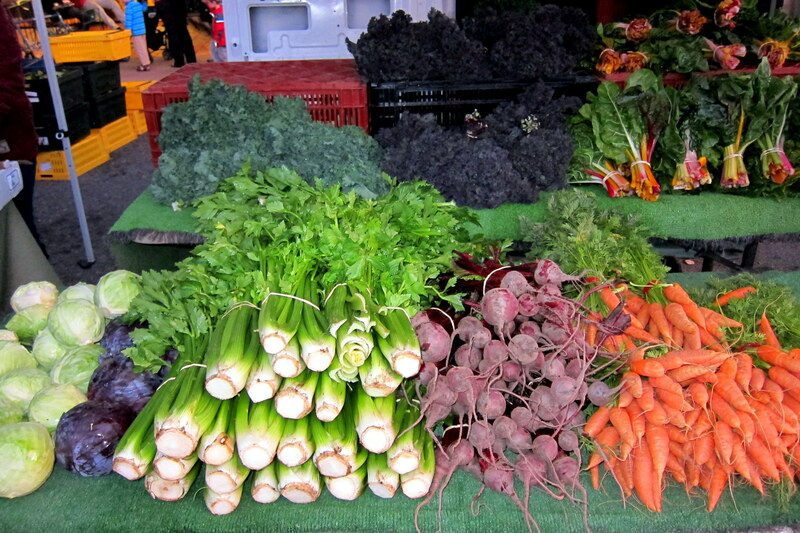 As street musicians perform, customers peruse the incredible selection of farm fresh produce….. While the prepared food venders bring in their huge wood fired barbeques and offer a variety of items from chicken to steak to pork. There were even cake, pie, cookie and cupcake bakers in the mix. Kit and I enjoyed some excellent pulled pork sandwiches topped off by huge cupcakes and brought home bags of fresh fruit and vegetables…..what a nice way to spend the afternoon and evening! Friday, February 14 and Saturday, February 15, 2014-San Luis Obispo (SLO), California…..yep, we are still….”still here”. 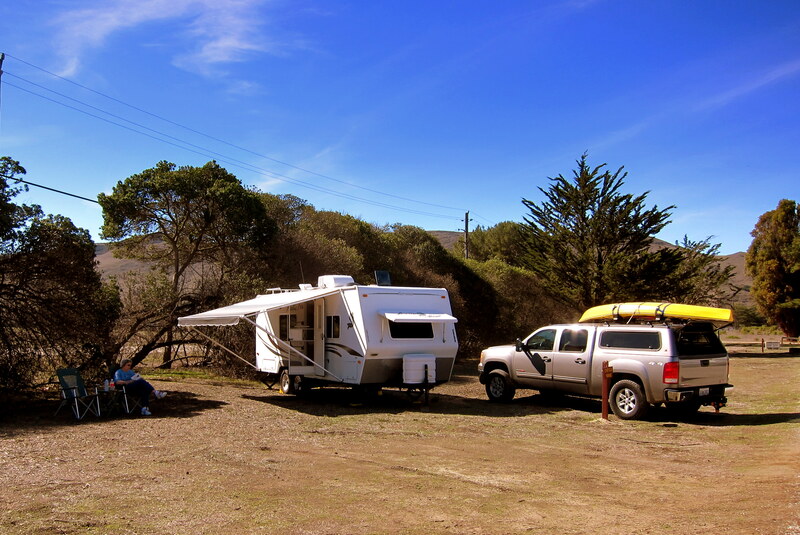 Deciding that we would rather combat Los Angeles traffic on a weekend rather than a Friday, we signed up to stay at CSLO for another couple of days…..not a disappointment as we truly like this little campground. In addition, due to the “Target Hack SNAFU”, one of our credit cards had thoughtfully been replaced by the credit union and it was sitting in an envelope on our kitchen counter up in Maine. So, after a phone call they deactivated that card and will send us another via FedEx…..just have to wait for it. After four days of exploring we decided to take the next two days and just veg. First, however, we had to vacate our full hookup site as the park was full for the weekend. So we moved to overflow at $5.00 per night and selected a nice treed area away from the main part of the campground. Our new neighbor, Mike was an old friend from our stay last year at Davis Monthan Air Force Base down in Tucson. 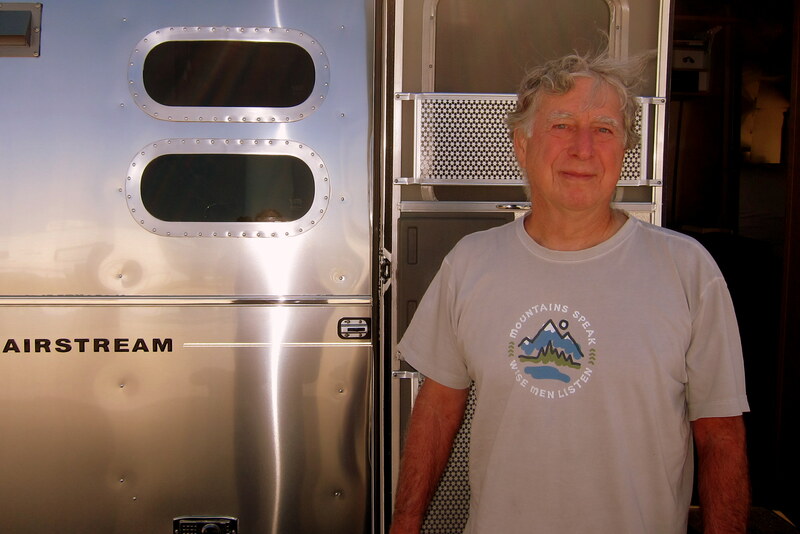 You may remember, Mike a retired Navy and Alaska Air pilot was full timing in his 20 foot airstream pulled by his VW with a Turbo Diesel engine…..a compact, comfortable and efficient rig. We had a great time telling sea (air) stories and comparing places to camp on the cheap. Mike almost exclusively dry camps and his trailer is set up with LED lights, extra batteries and a powerful solar panel that, on a sunny day, fully recharges his bank of batteries. In addition, we spent these two bonus days taking care of correspondence, catching up on reading, accomplishing truck and trailer maintenance and generally just goofing off. Or, as Kit calls it: stopping to smell the roses. 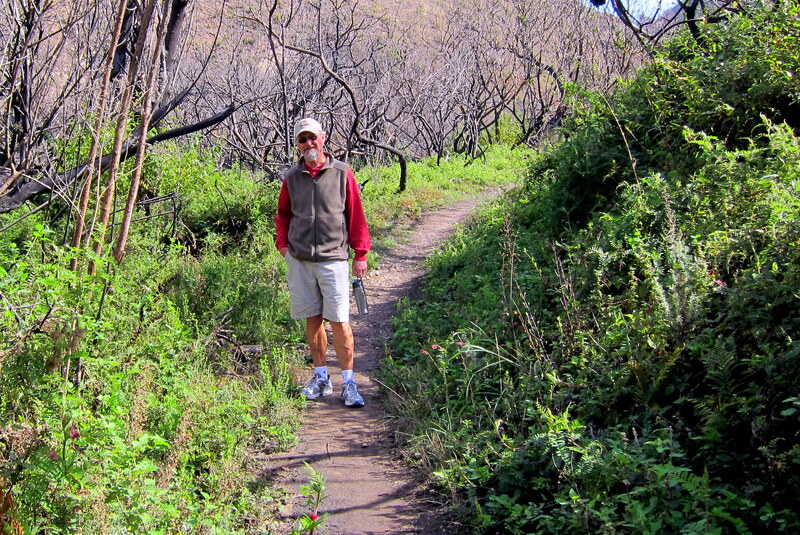 On Sunday we depart and continue our trek south…..hop along for the ride! 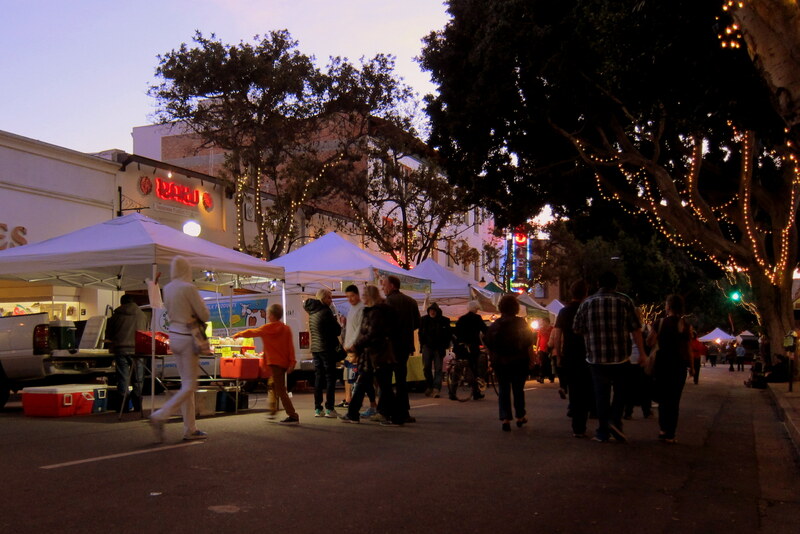 Kit’s Bits: I thoroughly enjoyed our stay in SLO, which has been on my bucket list for 9 years, since I was there for my nephew Chris’ graduation from Cal Poly. The Central Coast of California is so different from SoCal. There are many wineries, lots and lots of open space, huge fields of vegetables, many orchards, etc. Plus, the pace of life in the area seems a lot slower, more akin to the Mid Coast region of Maine. My favorite part of our time there was going to The Farmer’s Market. I wanted to buy lots of fruits and vege’s but, of course couldn’t due to space limitations. 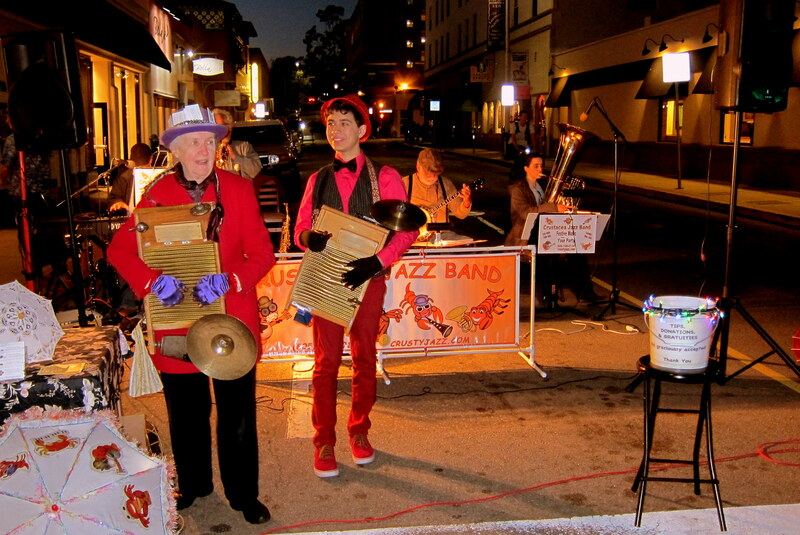 We stopped to listen to a small band, The Crustacea Jazz Band. It’s a local group and they’ve been together for a while, playing for local events, parties, etc. We really enjoyed the music and their toe tapping style had everyone smiling and swaying to the beat. As good as they were, they paled in comparison to JimmyJo & the Jumbol’Ayuhs ! 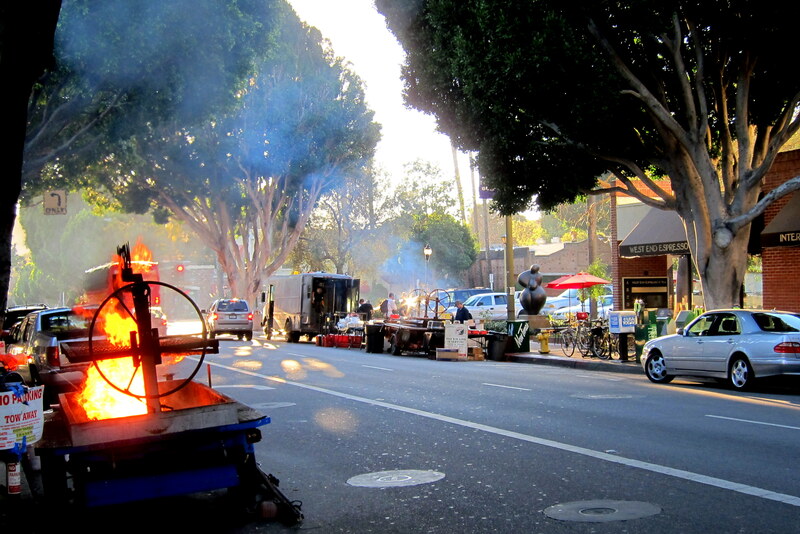 It was fun…..could see doing that every week if we lived here! Miss you guys, be home soon, love you! MISSED YA AT THE B DAY PARTY HELD AT DAVINCI’S YESTERDAY, WINDY AND NAN ATTENDED, WE WERE TWELVE IN THE RESERVED ROOM. HOPE THAT STORM DOESN’T SPOIL YOUR TRIP FURTHER NORTH. WE DODGED THE BULLET, WENT SOUTH OF US. Really missed sharing your 80th birthday celebration with you and your family…..if we had been anywhere near Maine we would have definitely been there! Looking forward to seeing you when we return home. Loved the bright sunshine—-everything seemed so colorful! Right now, we are stuck with the color “white” up here……..
Keep the faith…..spring has got to be just around the corner! We really need to take “travel lessons” from the 2 of you. You seem to have all the kinks worked out so that both of you get to enjoy your favorite things. Keep on having fun and be thinking of ideas for our 50th anniversary trip! I have been joined at the hip with my embroidery machine for the past couple of weeks getting ready for a craft fair on Saturday. Tomorrow we tour the Port of Manatee with some friends. Looking forward to it….next Sunday to the Lippizan Stallion full dress show to benefit Myakka City Historical Society. Thanks for the nice comment. We may finally have the travel compatibility kinks worked out but we now are contending with the old body kinks! Sounds like you folks have a lot of fun adventures of your own…..keep on trucking!! Looks like an awful lot of fun-your humor brought a smile to my Sat. morning! 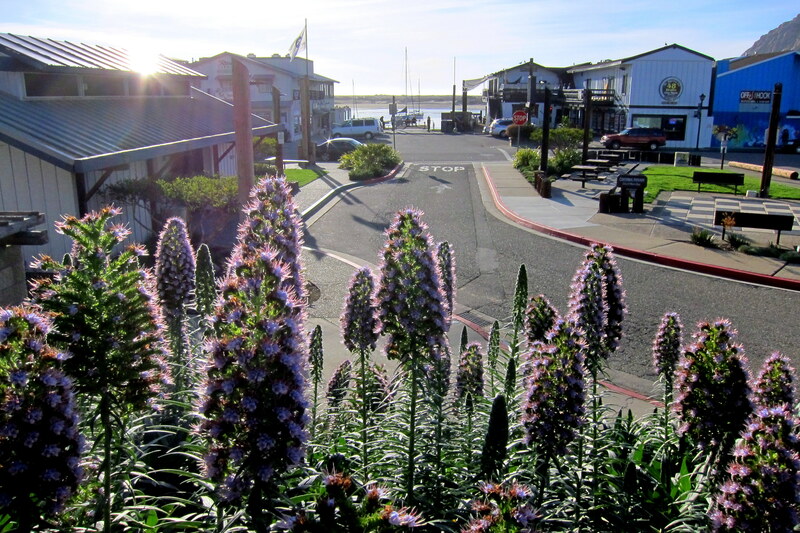 Love that area with especially good friends in Los Osos, and your tour was almost as good as a mini-visit(although you taught me WAY more about many things there than I EVER learned in my numerous visits!). The tragedy of the winter here (at least as far as I’m concerned, as I seem to be one of the few who loves the cold) is that there are no wonderful neighbors like you, willing to lend a snowblower…those were some of my fondest memories of Maine (believe it or not).My wintertime fun has been strapping on the crampons and viewing local waterfalls in the sub-zero temps… (we do happen to have the highest one in Mass. right here- Bash Bish at 60 feet) My dad continues better than ever at 91, which is a real blessing, playing his various instruments and managing his “menage a chats”, as I call it. He himself is fond of telling everyone he lives in a cathouse…! Yep, all’s well in western Mass with it’s abundance of ice! Great hearing from you and thanks for the nice comments about the journal and your kind remarks about us. You were one of our favorite neighbors as well…..wish you lived closer! If you can leave your dad for a few days, perhaps you would consider a visit to Maine this summer? Your winter outdoor adventures sound like fun, I’m betting you have taken some remarkable photos…..perhaps you would consider forwarding some along? Take care, and please continue to stay in touch! 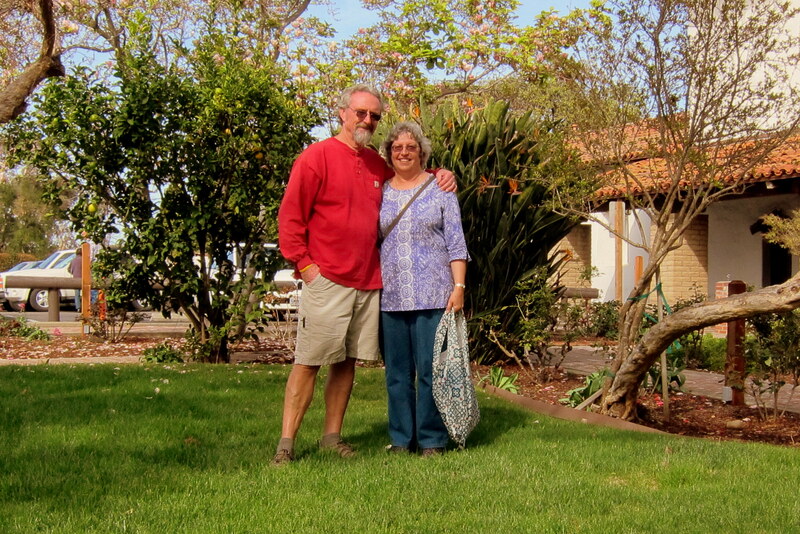 On our trip to the west coast a year ago, Pat and I visited Carmel Mission. It too was very charming and picturesque. Father Junipero Serra eventually settled there at the end of his mission travels and his grave is located on the grounds. 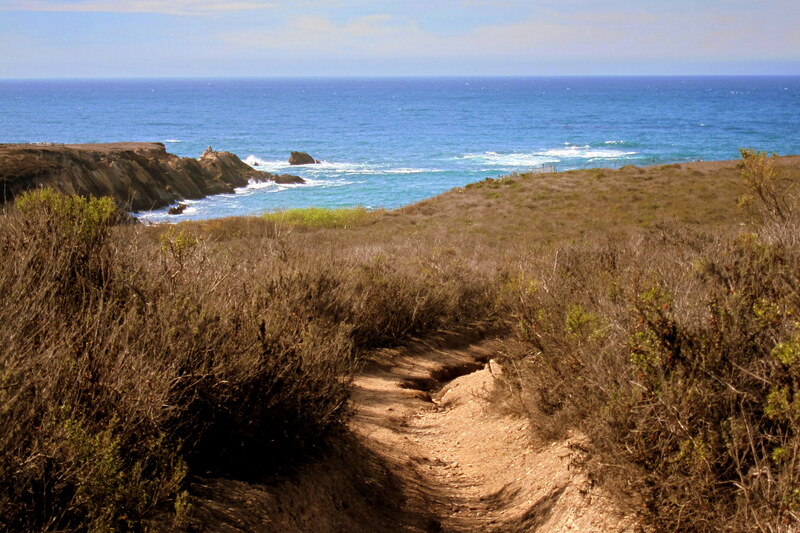 If you ever get a little further north into the Monterey Bay area, we highly recommend it. I highly enjoy the stories, pictures and videos. Keep up the good work. Thanks, and great to hear from you, as always! 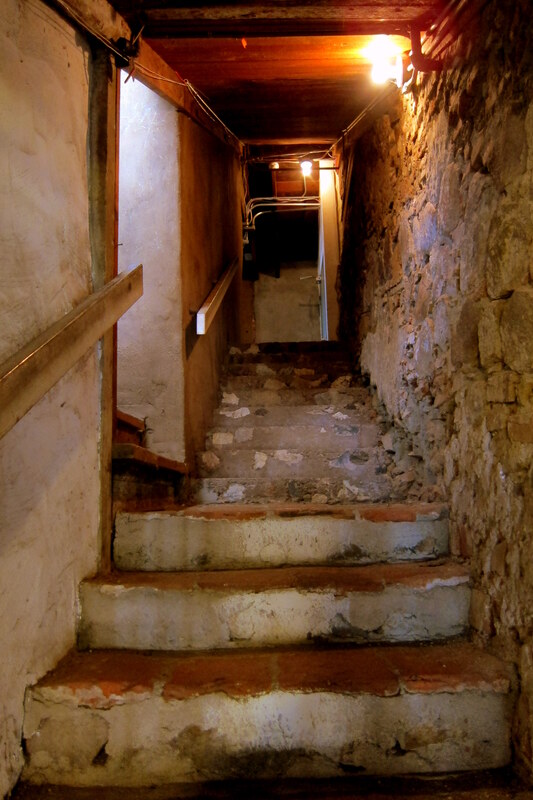 Thanks as well for the tip about the Carmel Mission…..we have added it to the Mission Bucket list. We plan to roll through PA in late April as we meander home and hope to see the clan!